Welcome Maddie to your new accomplishments, muscles and self-empowerment. 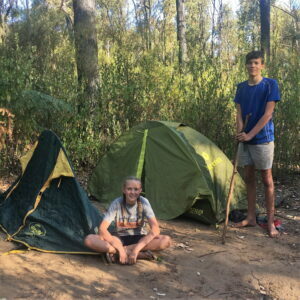 This young lady (11) is my niece, she joined myself and her cousin Sheldon (14) who is now well known on my hikes, he’s completed over 250km with me. 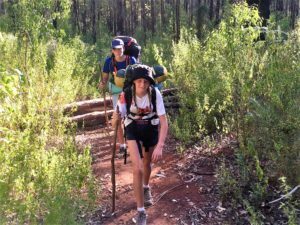 This was Maddie’s first multi-day hike, approx 30km over 2.5 days and it wasn’t an easy one. We faced changing plans, overcome challenges which she handled maturely and confidently. I parked the X-trail on Driver Rd and we joined the Bibbulmun Track with the Murray campsite the destination. Spent a day at the campsite on the river to explore, relaxed and then returned the next day. Her new backpack from Kmart broke in the first couple of hours but this did not sway her from the task. She immediately went into fix it mode which would have made her grandmother (my mum) extremely proud. Things can happen quickly when you are hiking, I learnt to not panic, keep calm and make good decisions. 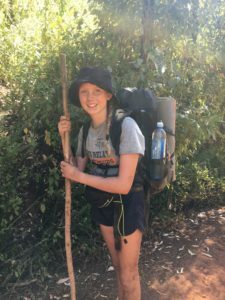 Maddie carried own gear/consumables that weighed 11kg. Maddie is tall, determined and very fit from her athletics which she takes seriously. In fact when Maddie asked me to come along, I asked her to perform a task for me. To carry a 10kg backpack for an hour. Maddie did it and walked to her friends house with her hiking boots on. Maddie did well, I have invited her to come on a longer hike in Autumn, with a better quality backpack. We will look at how we can keep the weight to a manageable level which can be a challenge for smaller people. Maddie popped her head out of the tent during the night. To unexpectedly see a million stars out to greet her. It was a moonless night. 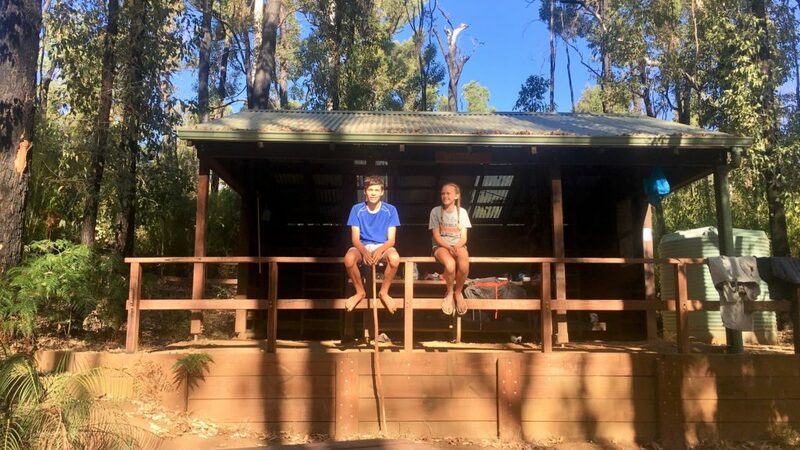 This new young hiker woke her cousin up, out of his sleeping bag and together they enjoyed the show. If your kids show any sign of wanting to do some hiking, please encourage it and see it through. Make something happen for them. It truly is an amazing experience for them. Kids learn self empowerment out here which is the only true empowerment.